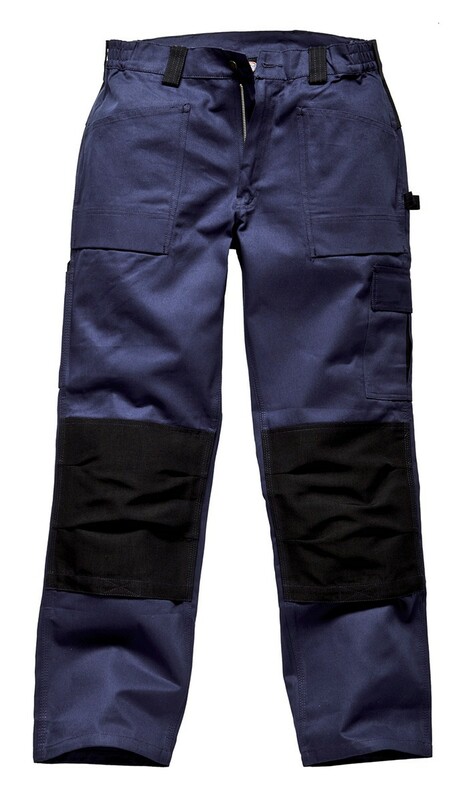 Ultra durable lightweight cotton work trousers with Cordura patches. 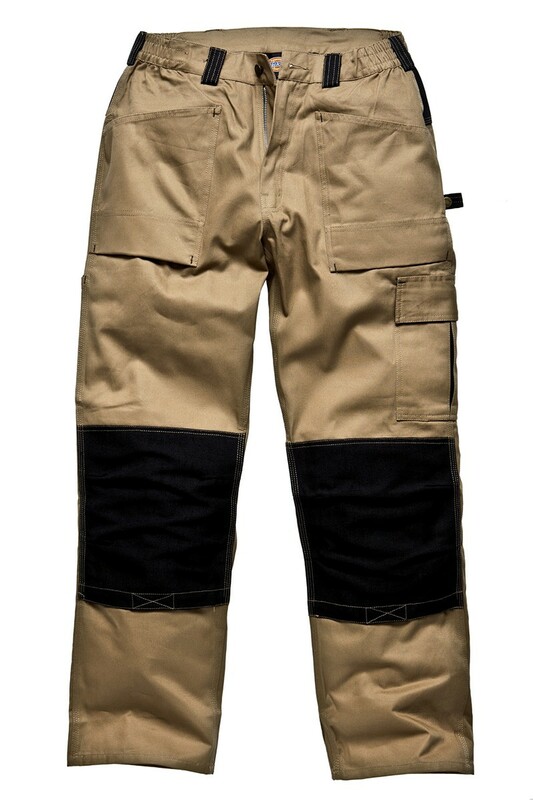 Dickies WD4930 Duo Tone 290 trousers are constructed from tough 290gsm cotton with 100% nylon ultra tough Cordura knee patches. Super quality YKK zipper fly. Side elastication for all day comfort. 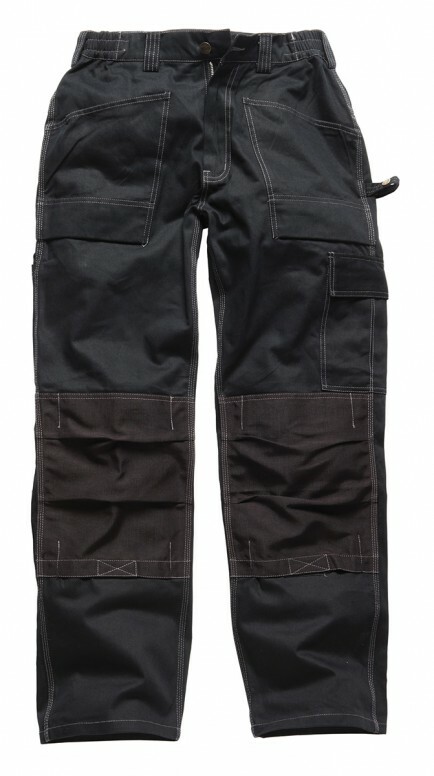 Triple stitching throughout for extra durability. Numerous pockets. 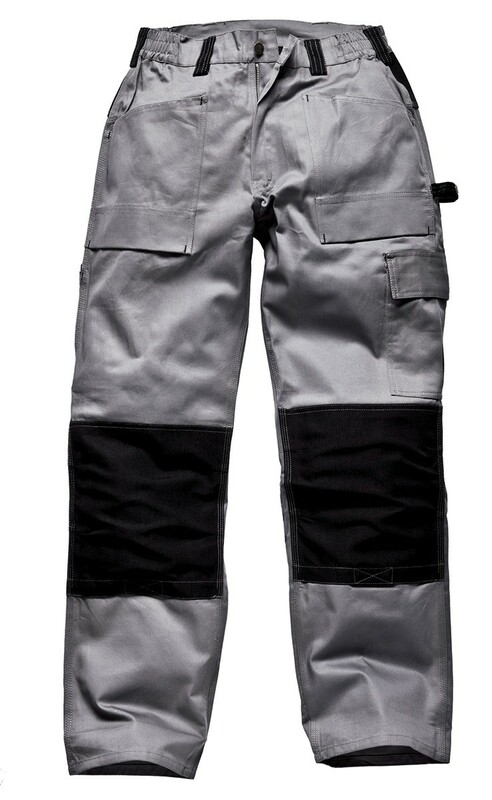 Cargo pocket including mobile phone pocket on left thigh. Large belt loops to take a Clip2 tool pocket attachment. 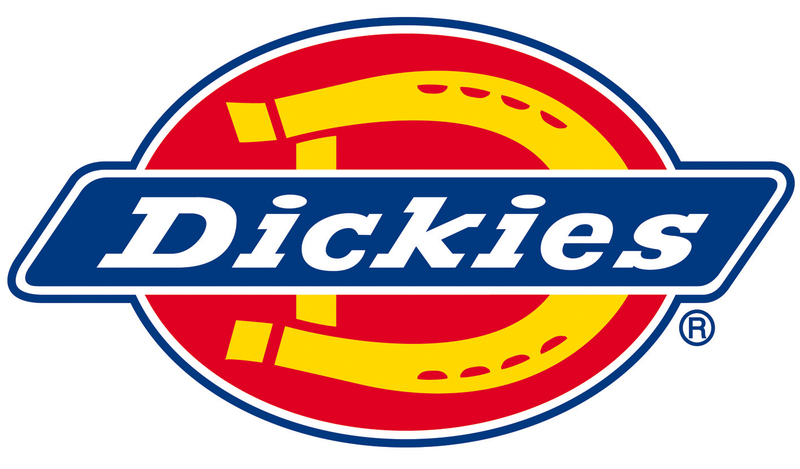 The Dickies Grafters Duo Tone Trousers are a great addition to your workwear wardrobe!